Lou Anna K. Simon sits with one of her attorneys, Lee Silver. The former president of Michigan State University was arraigned on Monday on felony and misdemeanor charges surrounding her involvement with the school’s handling of serial sexual predator, Larry Nassar. Her attorneys say she’s pleaded not guilty, planning to fight the charges. Officials say Lou Anna K. Simon lied to or mislead law enforcement officers about her knowledge of details about a Title IX investigation by the school into Nassar. Nassar is the former Michigan State University sports doctor who sexually assaulted his patients for decades, many of them young girls. Nassar is currently serving a de facto life sentence in prison. Simon was president of Michigan State from 2005 until January of 2018. She stepped down amidst mounting criticism over how the university handled Nassar. For years, Simon has said she didn’t know about any reports against Nassar until 2016, the year the IndyStar published an investigation into USA Gymnastics’s handling of sexual abuse complaints, and Rachael Denhollander, one of the first survivors to publicly come forward against Nassar, filed a complaint with Michigan State University Police accusing Nassar of sexual assault when she was a teenager. The charges Simon faces stem from a 2014 internal investigation into Nassar after Amanda Thomashow reported Nassar for sexual misconduct to the Michigan State Sports Medicine Clinic director. According to court documents, Simon met with law enforcement officials in May during their ongoing investigation into who knew what and when at Michigan State about Nassar. Simon told investigators that she was aware there was a “sports medicine doc” who was the subject of a review in 2014, but she didn’t know the doctor or what the complaint was about until 2016. Officials say they have written documents to show that Simon knew Nassar was the subject of a sexual assault complaint. 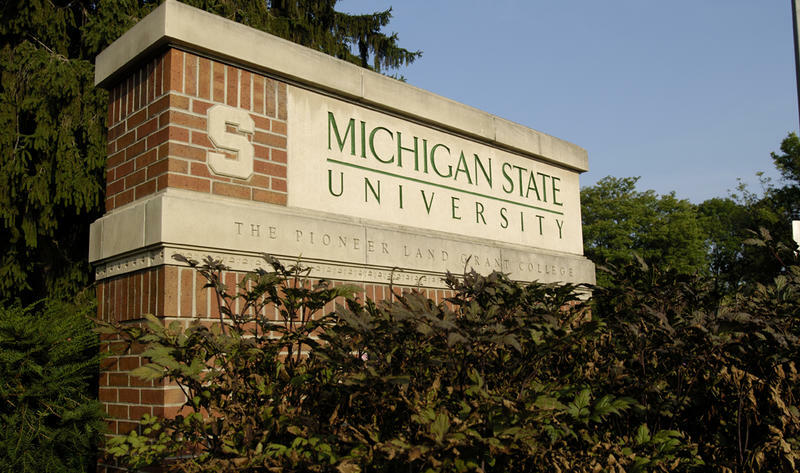 The former Michigan State University president is the third person charged during the state Attorney General’s Office’s investigation into the university’s handling of Nassar. Former dean of osteopathic medicine, and Nassar’s former boss, William Strampel is awaiting trial on various charges for failing to properly oversee Nassar and using his position as a dean to try and get sexual favors from students. A former Michigan State coach also faces a criminal trial for allegedly lying to law enforcement. Two women testified during a court proceeding in September that when they were teens they told Kathie Klages that Nassar digitally penetrated them during treatment. But Klages told law enforcement – while it was conducting an investigation – that she didn’t recall those conversations. Simon faces two felonies and two misdemeanor charges. The felonies each carry a maximum penalty of up to four years in prison and/or $5,000 in fines. The misdemeanors carry up to two years in prison each and/or fines. 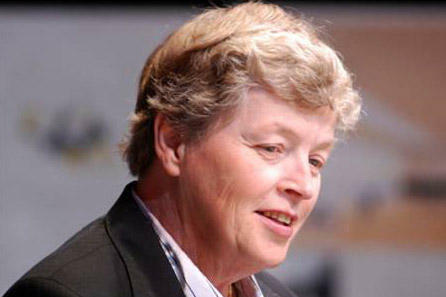 Former Michigan State University president Lou Anna Simon is scheduled to be in front of a judge Monday for an arraignment. Simon is charged with two felonies and two misdemeanors for allegedly lying to law enforcement. Law enforcement officials say Simon falsely said she didn’t know certain details about an investigation into Larry Nassar in 2014. Nassar is the former MSU sports doctor who sexually assaulted his patients for decades. Lee Silver is Simon’s attorney. He says his client is innocent.